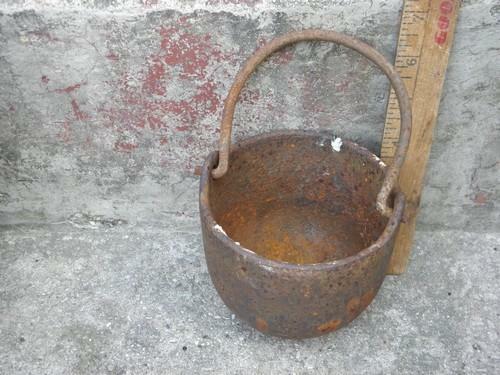 Early 1900s vintage cast iron pot, originally used to hold a container of heated glue in a manufacturing plant. It's just right for a little witch for Halloween now! 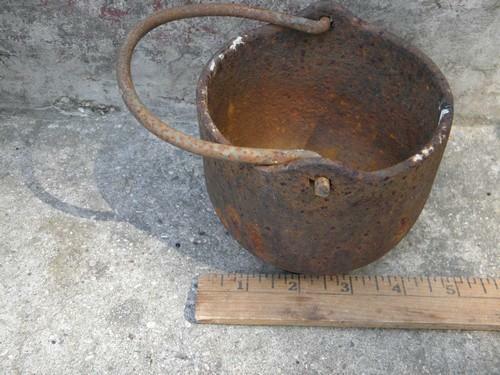 This has rust inside and out, and because of it's previous use we wouldn't suggest it for food, it was never intended as a food grade pot. It would hold a plant, or other holiday decorations very nicely, it's well weighted, heavy for its size. Measures 4 1/2" in diameter overall x 4" deep.